Retaining the original ‘Reverse’ body and headstock the 2019 Gibson Firebird Tribute radiates vintage styling. 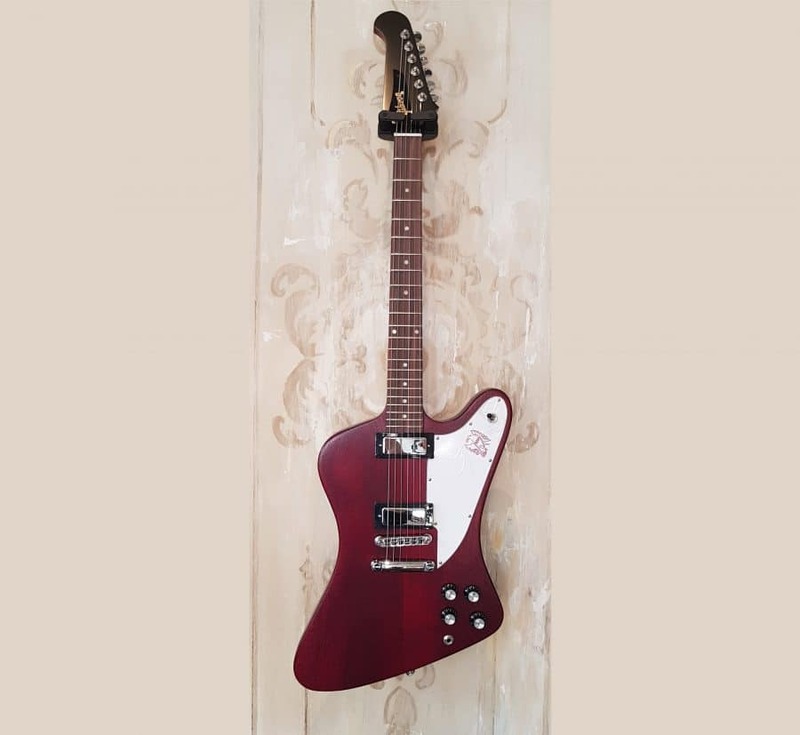 Mahogany, slim taper set-neck with an unbound rosewood fingerboard is coupled with a mahogany body which guarantees classic Gibson sustain while the Firebird mini-humbuckers provide the tone. Chrome hardware, Grover mini-tuners and satin cherry finish complete the package.